Learn how to design and make your own unique, stunning silver jewellery! This beginners’ course is designed for people who wish to learn how to make pure silver jewellery using metal (silver) clay. It is an introductory course, which is intended for those who have never used metal clay before. It is ideal, not only for those people who have never made any jewellery before at all, but also for those who have some experience of traditional silver-smithing methods using sterling silver, and wish to develop some completely different techniques to complement their existing skills and knowledge. Metal clay is a substance consisting of tiny silver particles held together with an organic binder and water. This renders the silver into a clay-like substance. 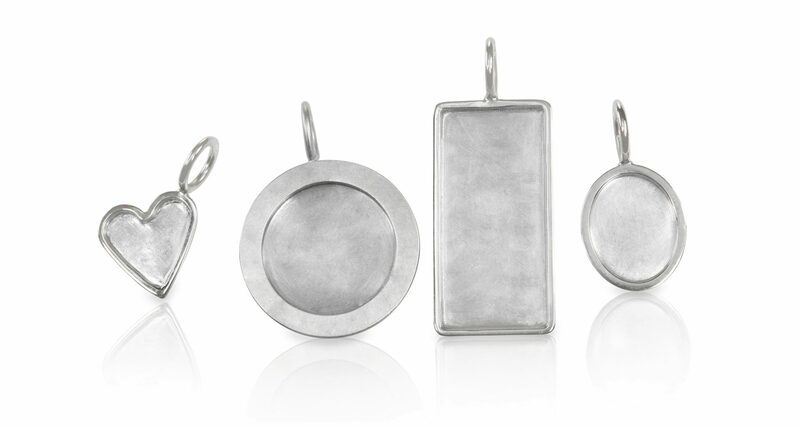 When the clay is fired (with a gas torch or in a kiln) the binder burns away and you are left with solid silver. This is purer than sterling silver and can be hallmarked. One of the great advantages of working in metal clay is that it is relatively easy to continue working at home after the class without a big investment, as you don’t need many tools or specialist equipment. Each session will cover a specific area, with examples, and will be followed by a practical mini brief to enhance your design and practical skills. This introductory course assumes students possess no previous knowledge and is suitable for beginners, or those with some previous experience who wish to improve their skills. Please note, students attending this course should be aware that in addition to the course fee there are additional material costs. You will be expected to pay for all the silver and any additional materials on a pay-as-you-go basis. The cost per student will vary, depending on the amount of silver used, but as a rough guide, a small charm will cost approximately £6-£10 depending on the size. A medium-sized pendant will cost approximately £20. Throughout the entire course you may expect to pay on average about £120, though students working to a strict budget would be able to reduce this amount by making mainly smaller pieces.